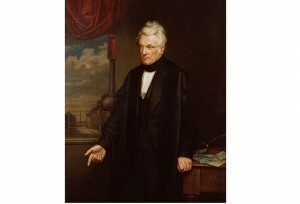 John Clayton (1792-1890) was the town clerk of Newcastle upon Tyne, a lawyer and antiquarian. 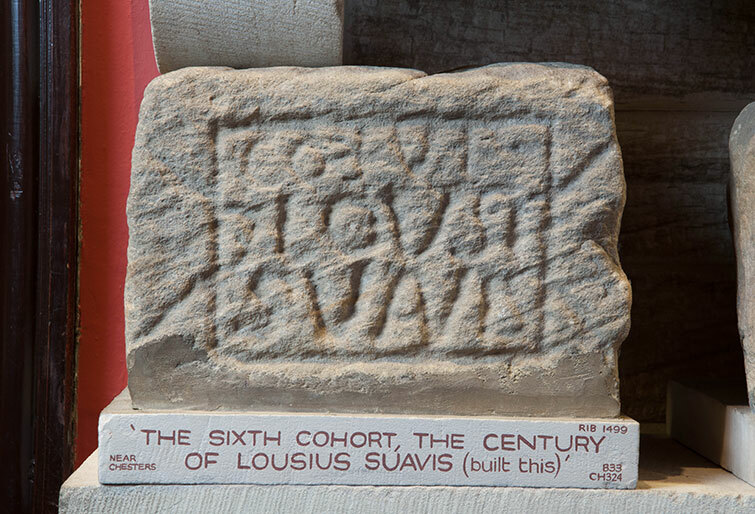 His contribution to excavating and protecting Hadrian’s Wall has often been overlooked, but without him we could have lost much of this transnational World Heritage Site. 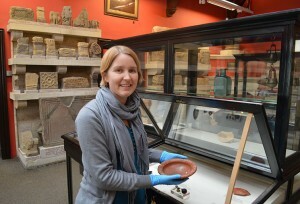 Frances McIntosh, Curator of Roman Collections at English Heritage, introduces the man who saved Hadrian’s Wall. Who was John Clayton and what’s his connection with Hadrian’s Wall? When John Clayton was four, his father bought the mansion house of Chesters which had the Roman fort of Cilurnum in its front garden. It was the start of a life-long interest. By the time John died in 1890 he owned five forts – Chesters, Carrawburgh, Housesteads, Vindolanda and Carvoran – as well as most of the Wall within this 20 mile stretch. In 1815, at the age of 23, John joined his family’s law firm, which became the largest in the North East of England. John also took over from his father as the Town Clerk of Newcastle in 1822. This position granted him huge power in the Corporation of Newcastle (the previous name of the council) and he held his position for 45 years. John was part of a wealthy family, however he also worked hard to increase his fortunes and land-holdings. When he died, his nephew Nathaniel George Clayton inherited around 20,000 acres of land and £713,522 0s.2d, the equivalent of £42,732,833.08 in modern money! How did John Clayton ‘save’ Hadrian’s Wall? By purchasing these sites he brought them under his protection. He stopped quarrying near to the Wall, forbade the use of Roman stone for new buildings, and moved buildings away from the archaeology. The farmhouse you see today when you visit Housesteads was built by Clayton to replace the one based around the south gate of the fort. When did he start his archaeological work? 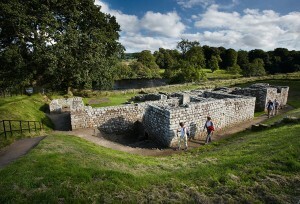 John started his excavations at his home, Chesters, around the year 1840 . Unfortunately almost all of his papers have been lost, but his first publication was in 1843 and discusses the discovery of the commanding officer’s house (praetorium). He continued to organise pioneering excavations throughout his life at nearly all of his sites, and was still digging at Chesters right up until his death. His excavations in 1848 at Cawfields Milecastle revealed a gateway to the North, changing the understanding of the function of Hadrian’s Wall. How could the Wall keep out the ‘barbarians’ if there were gates to the North? The scale of Clayton’s work allowed him to get a broader understanding of the Wall and the sites associated with it, rather than just micro-study of one specific fort. What can you see of his work today? John Clayton’s legacy can be seen as two-fold: the land he owned and his collection of Roman artefacts. The most famous part of Hadrian’s Wall, west from Housesteads over the Whin Sill to Great Chesters, is now known as the Clayton Wall. It was this stretch of Wall that his workmen consolidated and turf topped, giving it the appearance it has today. His ownership also saved it from stone robbing and quarrying. The Clayton Collection is now cared for by English Heritage and much of it can be viewed at Chesters, presided over by a large portrait of John. 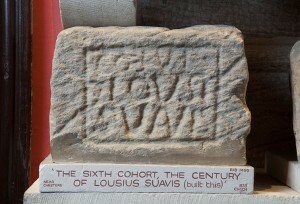 When visitors enter the museum they are met with row upon row of inscribed and sculpted stone. Centurial stones give the names of the soldiers who built the Wall, whilst altars tell us of the deities they worshipped. There are cases filled with coins, pottery and metalwork which give clues about the lives of the Romans who lived on Hadrian’s Wall. The collection contains approximately 11,000 finds along with around 12,000 coins and archive material from both Clayton’s time and later. It’s a hugely significant array, and it was all discovered through Clayton’s work.